About a month ago we wrote a review of Stress Reliver - Letting Go by Dolor Soderbom, here. Now, more than a month later, we would like to do something we hardly ever did on Android Review Center and come back to our reviewers, the same people who tried out the app. It is now almost two months since they started using this app. Why do we think Letting Go is so important we dedicate another article to it? Well, the answer is quite simple. Letting Go by Dolor Soderbom is an app that is supposed to fight stress, i.e. 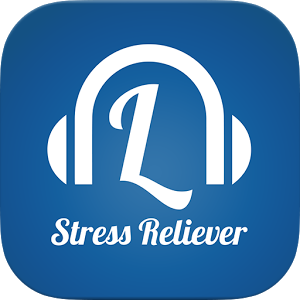 help reduce stress and tension of the app user, and we actually think this is vitally important. Stress is a actually an epidemic in the modern Western World. Almost everyone suffers from it, starting from the clerk at the bottom of the hierarchy who just has to answer calls to the CEO at the very top of the organization. The clerk will be worried about his or her job security, performance and his or her ability to pay the rent next month while the CEO will be worried sick, just making sure his or her company delivers the kind of performance the stock holders demand. Station, wealth and job are no guarantee against stress. It is actually quite the opposite, with people ranking near the top of the hierarchy usually actually suffer more from stress. And stress can kill. Just ask any doctor what is the connection between stress and illness such as hypertension, overweight and consumption of drugs and alcohol. All of these kill, especially if they are done without moderation, as the result of stress. Heart problems and strokes, heaven forbid, can also be the result of too much stress. 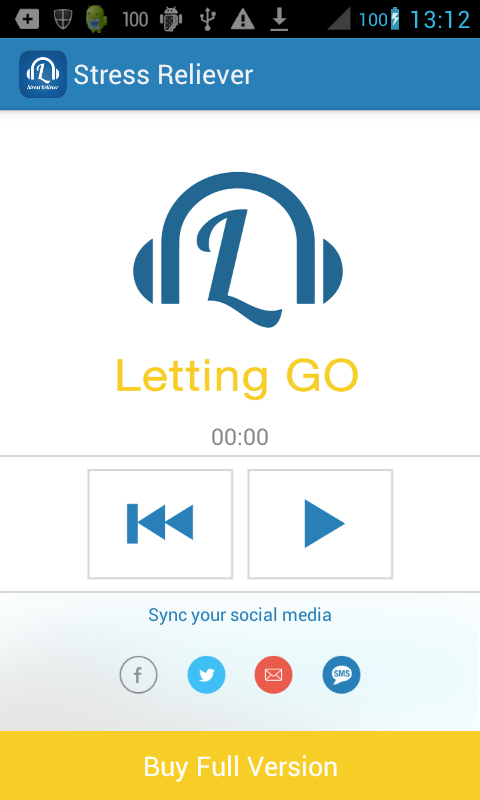 So, what does the Letting Go app suggest? The app is quite simple although it is based on quite complex principles. In order to user Letting Go properly, the user must dedicate half an hour each day of just sitting down in a quiet environment and listen to the techniques Tod MacLaren narrates in the app. So, we talked to our reviewers almost two months after starting using the app and we wanted to know and understand what they could tell us about the effects the app had on them. Reviewers told us they felt calmer. Of course this is a subjective feeling but it no doubt a step in the right direction. Of course we didn't measure blood pressure when the reviewers started using the app and now, but some reported that their friends had remarked that our reviewers now talked less and had less need to raise their voices. Some reviewers reported that they were now much more aware of stress, its causes and its effects in their lives. That awareness enabled them to feel when their were entering a stressful state and prevent it or lessen its effects. One reviewer said he had a long talk with his boss and changed some of his boss behavior that had him stressed out before. Other reviewers said that all they needed to do now was recall Tod MacLaren's voice in some stressful situation and MacLaren's narration, even if it was in the imagination at the time helped them handle the stressful situation better. Android Review Center is not a psychological evaluation center and thus cannot scientifically testify whether Letting Go does what it is supposed to. However, our reviewers were quite enthusiastic about it and reported some major gains in the fight against stress, not to mention much greater awareness of it.